When it comes to e-learning solutions designed for Zimbabwe, there are a number of concepts that are still being explored by developers to fill out the demand in certain niche markets. A good example is for local language tools and so far there have been several applications that have been developed to cater for that growing segment. 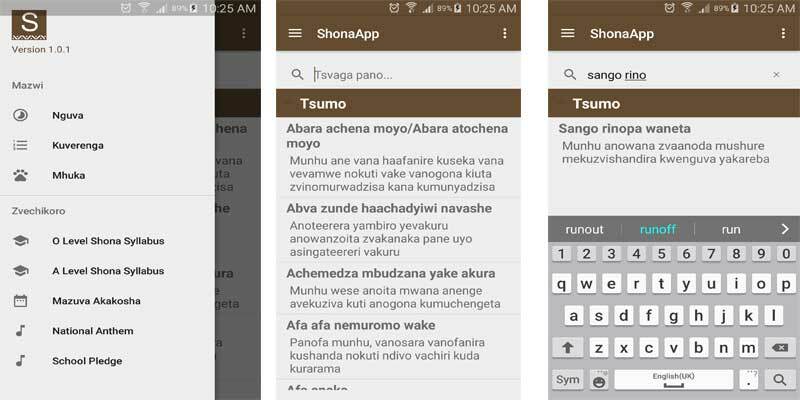 We’ve just gotten our hands on a new example of this called ShonaApp This is an Android application (it works for Android 3.0 and above) that acts as a Shona language companion for school children. 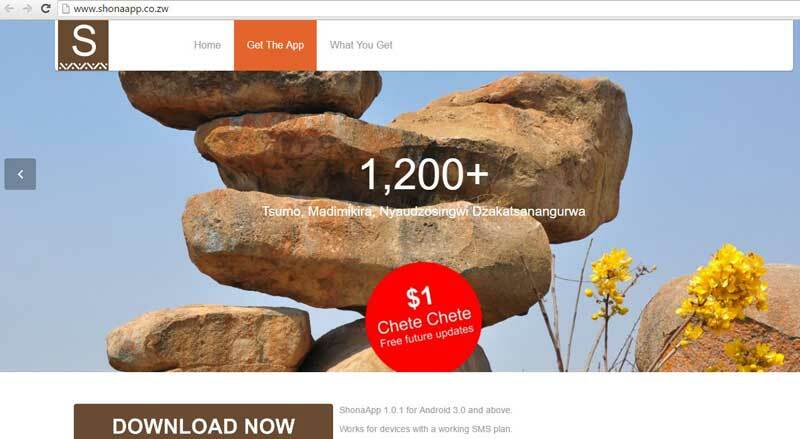 The app provides an offline tool for searching Shona proverbs, allegories, and ideophones (these are called tsumo, madimikira and nyaudzosingwi, respectively, in Shona) along with Shona to English translations for words related to time, counting and common Zimbabwean animals. ShonaApp also has a section targeted at school children that offers an overview of the Ordinary and Advanced Level Shona Syllabus, a school calendar, the national anthem (in Shona, of course) and the controversial School Pledge. The app is downloaded via the ShonaApp website which will also provide steps on how to pay, via EcoCash, the $1 once-off fee that is needed to activate it. All updates made afterwards are free. According to Russell Kanyera the man behind the app, he was inspired to develop ShonaApp when his son asked for the explanation to a Shona proverb whose meaning he did not know. So it struck me that there are a lot of English dictionaries out there so why not have something similar for Shona related content that can be accessed offline. So I started tinkering. I developed it myself. I asked a few people if they could develop it for me but I hit some walls so push came to shove and I went DIY. Kanyera, who isn’t a techie (he’s a molecular biologist) says one of the challenges he’s faced in getting this app working has been the development itself. Getting his head around how to develop the app was a major stumbling block. So far it’s been a one man job and Kanyera has been working on the development and the content curation on his own with some support from his family. he is, however, exploring some partnerships that will help in the addition of content. As much as this is a digital tool, the competition fo ShonaApp actually comes from old school Shona text books and supporting literature like reference books for Shona idioms. Other Shona language tools that are scattered on Google Play also present some challenge and so does Google Translate which, as a crowd-sourced tool for translation might become the most convenient option for figuring out how to count or to name the months in Shona. Still, ShonaApp seems to have focused on the important aspects first. besides being primed for quick access and possessing a user-friendly interface with room for content upgrades, an early monetization strategy could help fund the very important content acquisition and curation process. It’s this last factor that has the potential to derail free learning tools and applications which still need to pay whoever puts together the very valuable learning material. We actually need a Ndebele one. More people need to learn Ndebele. I would pay for that one. True I would too. I think both are good it’s a Great start.